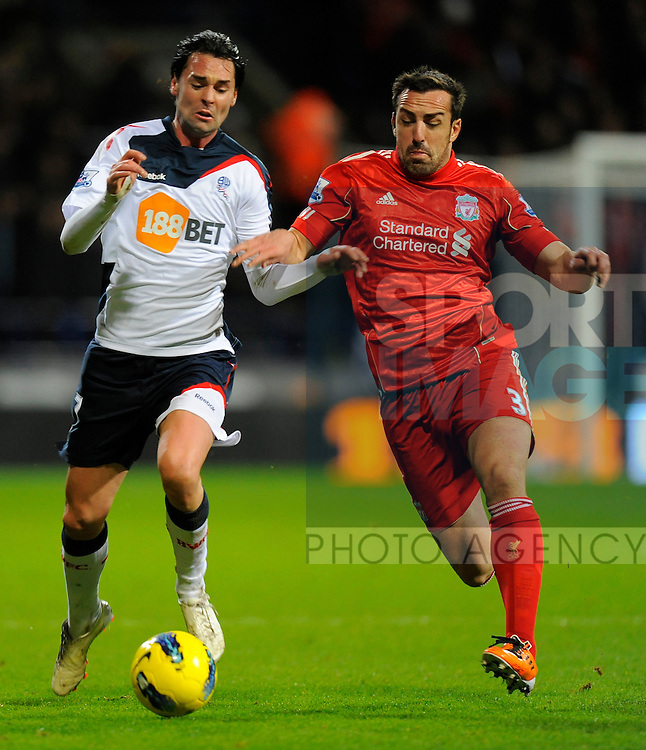 Chris Eagles of Bolton Wanderers and Jose Enrique of Liverpool.Barclays Premier League.Bolton Wanderers v Liverpool at the Reebok Stadium, Bolton. 21st January, 2012..Sportimage +44 7980659747.picturedesk@sportimage.co.uk.http://www.sportimage.co.uk/.Editorial use only. Maximum 45 images during a match. No video emulation or promotion as 'live'. No use in games, competitions, merchandise, betting or single club/player services. No use with unofficial audio, video, data, fixtures or club/league logos.